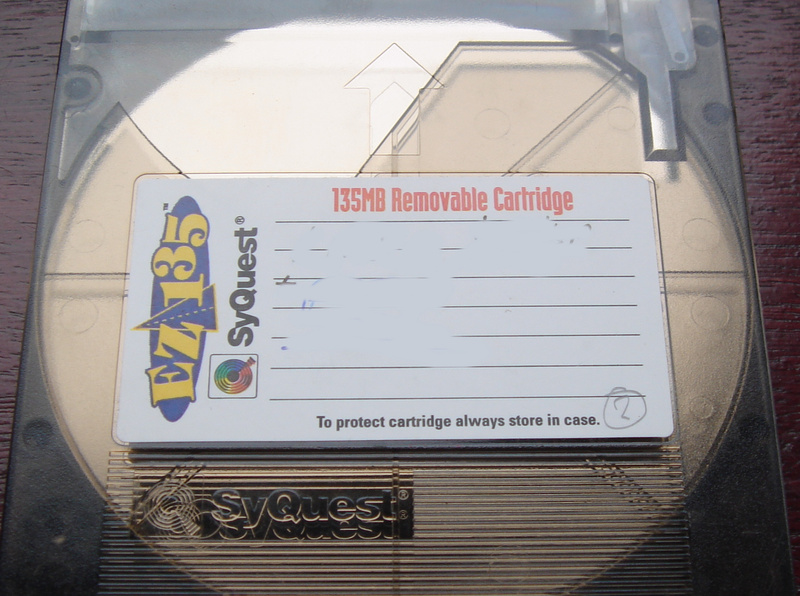 This Syquest disk was sent in to us to arrange transferto a USB key drive. The files on the EZ Driver 135 disk were formatted in Apple Mac HFS. A disk image was made and converted to a .dmg file. This file could then be mounted on a modern mac desktop, clicked and it will open just as if the original disk was connected to the Mac. The old drive would have been connected by scsi interface cable and card, but those have not been incorporated in Apple computers since about the G3 and G4. If you need a Transfer Ez Drive 135 to USB service, then contact our friendly company. This Syquest disk was sent in to us to arrange transferto a USB key drive. The files on the EZ Driver 135 disk were formatted in Apple Mac HFS. A disk image was made and converted to a .dmg file. This file could then be mounted on a modern mac desktop, clicked and it will open just as if the original disk was connected to the Mac. The old drive would have been connected by scsi interface cable and card, but those have not been incorporated in Apple computers since about the G3 and G4..